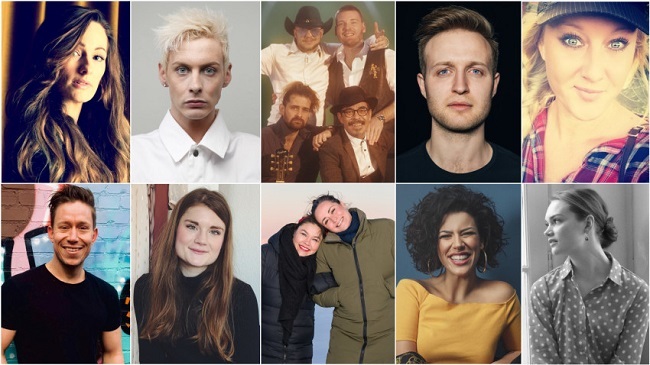 These are the artists in Dansk Melodi Grand Prix 2019 – and their songs! Just this afternoon, Danish broadcaster DR has revealed which artists will be competing in their national final: Dansk Melodi Grand Prix 2019. With that, they have immediately released their songs as well! We see Tim Schou (Denmark 2011 with his former band A Friend In London) among the songwriters of ‘Hold My Breath’ and Lise Cabble in ‘Love Is Forever’, ‘Step It Up’ and ‘Kiss Like This’. Lise was one of the co-writers behind ‘Only Teardrops’, which won the contest in 2013 for Denmark! Last year, Denmark shot into the top 10 at Eurovision due to a high televoting score. The viewers at home were quite charmed by Rasmussen and his fellow vikings! Do you think Denmark can do it again this year? All Montevizija 2019 songs will be released on February 2!